If you are looking to enjoy a private safari tour in India where you want to either be alone or only with your group and don’t want to share your space with people unknown then Bandhavgarh365 is there to offer the private safari tours in India by providing you with open traditional jeeps which would take you around the entire forest cover, specifically planned and customized as per your requirements. You can enjoy the breathtaking views of the lush green forest or can just sit and enjoy the sunset, to just capturing Mother Nature’s beauty and enjoying the calmness and the songs of the forest. The private safari tour gives you the liberty to take as much time you want to at a particular place. These safaris are a big hit with like minded travelers who are visiting the forest to explore the same things. The presence of a professional guide, highly trained and specialized will make your private safari more enriching as he will pass on his knowledge of this forests area and its inhabitants making your experience more enriching. 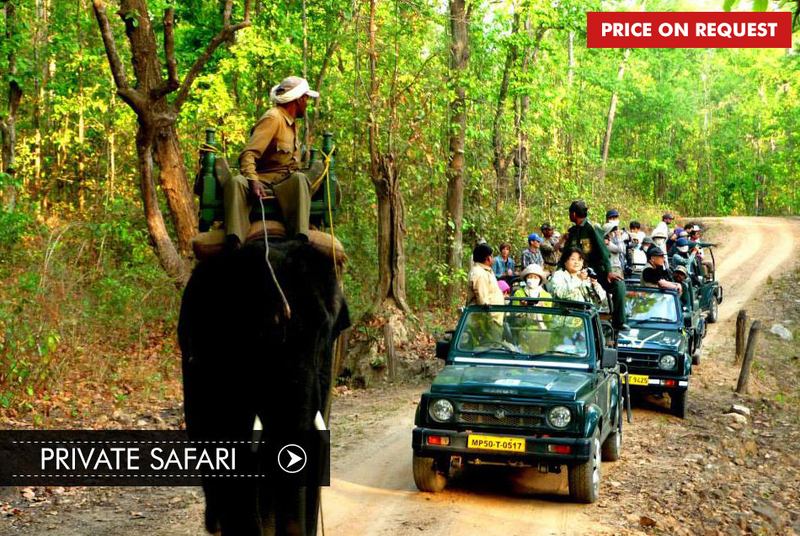 The private Indian safari tours offered by us come at affordable costs, designed as per your requests.